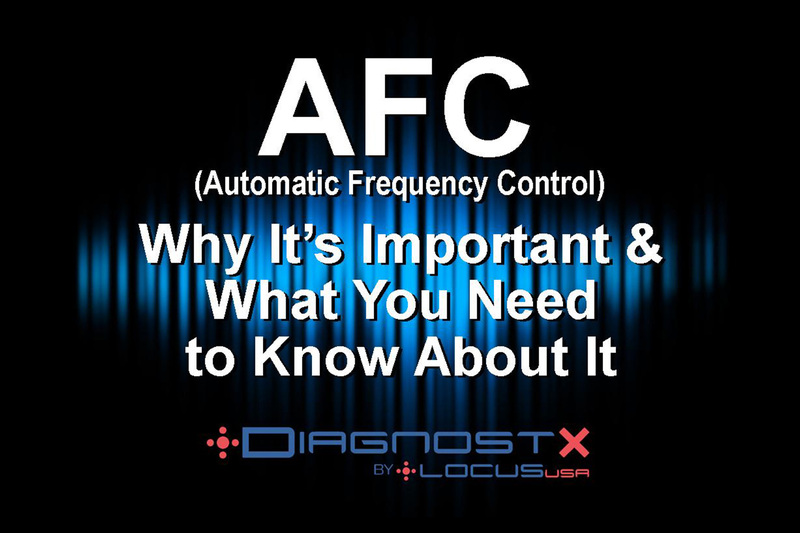 LocusUSA, a world leader in the area of radio frequency (RF) capture for radio analysis and location, will be hosting a complimentary 30-minute webinar entitled, “Why Automatic Frequency Control is Important and What You Need to Know About It”, on Thursday, July 6, 13 and 20 at 10 a.m. (ET) and Tuesday, July 11 and 18 at 1 p.m. (ET). Individuals who perform radio maintenance for their company or agency are welcome to attend the webinar. How AFC controls and corrects the radio’s oscillator drift temporarily, masking a maintenance problem until the radio fails. How to recognize a radio that requires multiple attempts to affiliate with the network before AFC engages, unnecessarily taxing the system. Why a radio like this, even while temporarily appearing to be within spec, should be brought in for maintenance. How to identify poorly aligned radios without user intervention. For more information on the webinar or to register at no charge, visit: www.LocusUSA.com/AFCMeter-webinar. LocusUSA is an engineering and software development company located in Melbourne on the Space Coast of Florida since 2001. It is a leader in the area of RF capture for radio analysis and location. The ability to capture and analyze the actual waveform of a radio transmission led to the development of DiagnostX, a patented system that can measure the alignment and characteristics of a radio, over-the-air in real-time without user intervention. LocusUSA supports government customers across the United States and Canada on the local, state and federal levels with this first-of-its-kind, proactive tool, ensuring the optimal performance of a radio system. To learn more, visit https://www.locususa.com or connect with LocusUSA on LinkedIn, Twitter, and Facebook.